In 2018 Tilma Group celebrates ten years of growing tourism in regional destinations! 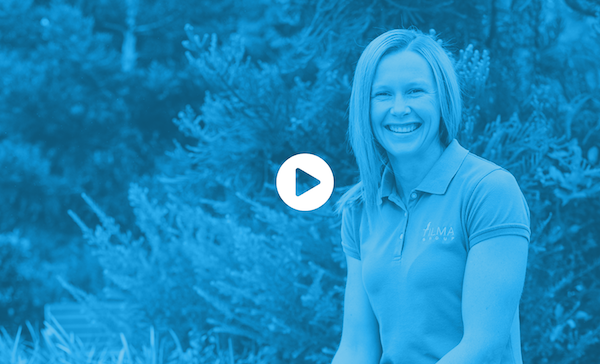 An interview Linda recently gave gives a great overview of the first decade of her business. Linda was selected as one of 100 Faces of Small Business for Queensland Small Business Week, an initiative which showcases the human stories behind our state's diverse small businesses and highlights their unique business experiences and inspiring stories. What’s the best way to learn about your line of work? The tourism industry is extremely exciting and offers many great career paths. I would suggest that anyone interested in learning more about it contacts their state's Tourism Industry Council (QTIC in Brisbane) as they offer great insights and development programs. They would be able to give an overview of the entire industry and the many opportunities. I studied a Bachelor of Business in Tourism at Southern Cross University in Lismore after leaving school AND loved it! From there I spent four years travelling around Australia and working in an array of temporary jobs whilst I explored our amazing country. This is really when I feel in love with the regional and rural destinations – the untapped and earthy regions with amazing people and communities. Then I fell into contract project work…which was the start of the organic development and growth of Tilma Group, 10 years ago. We are very excited to be celebrating a decade in business this year! Do you have employees – and if so, how many? At the moment I have one full-time employee and three semi-permanent contract staff. This has ebbed and flowed over the years and I am finally in a comfortable position from a capacity and resourcing point of view. We really do punch well above our weight for a small team. Team work and collaboration. For me I never see myself as a ‘manager’ – I am part of the team. We all work equally as hard and are rewarded the same. Wow, so many people. The staff that I have had over the years, my clients always inspire and motivate me, as well as other successful small business owners. It’s hard to pinpoint individuals as I feel that I have non-stop support and help from everyone around me – that’s one of the great things about small business and our industry. A special mention does need to go to my husband and my kids because they help me every single day! I could not do what I do without their ongoing support. The key for me is that our focus is and will always be on regional and rural. How much business experience did you have when you started? It has its good and bad days. I love being in control of my destiny, but I do crave that teamwork and collaborative decision-making. I’m lucky to have a small and dedicated team that helps with this. With the benefit of hindsight, what would you have done differently? Engaged external help to set up the business workflow systems and workload management processes earlier in the business. This is something we did only a couple of years ago and it has made a dramatic difference to the overall business from a time management, profitability and overall success point of view. Managing capacity and workload is probably the toughest thing in an agency environment. Engaged a business mentor early or joined a mastermind group. It was this star, Jen, who helped make the workload management processes happen! Would you swap your job for a 9 to 5 role? From whom do you seek advice/inspiration? My clients and colleagues. My clients are amazing and offer me great advice and inspiration without even realizing it. I am also part of a few great Facebook groups that consist of industry colleagues, business experts, etc, and I communicate on these regularly to gain advice and inspiration – they're great. I also have a business mentor under the Inspiring Rare Birds program and he has made a massive difference to how I look at business. It’s fantastic. Are you aware of any grants, or have you made use of any government small business resources? I have accessed the Queensland Government Small Business Digital Grants for some clients and it has really assisted them to improve their digital capability.